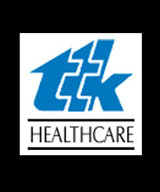 TTK Healthcare, a part of TTK group of companies has recorded a phenomenal growth in standalone net profit for the quarter ended June 2009. During the review quarter, the profit of the company surged 4.43 times to Rs 23.30 million from Rs 5.26 million in the same quarter previous fiscal. Company's net sales for the latest quarter also grew by 18.18% to Rs 666.63 million, while total income for the quarter rose 17.85% to Rs 674.67 million, when compared with the prior year period. The company has recorded earnings of Rs 2.94 a share during the quarter, registering 4.52 times growth over prior year period. The operating margin of the company during the quarter under review grew by 403.62 basis points to 5.89% compared with the previous year period. Interest cost climbed 24.19% to Rs 6.16 million while depreciation cost surged 1.57% to Rs 4.54 million over previous year period.